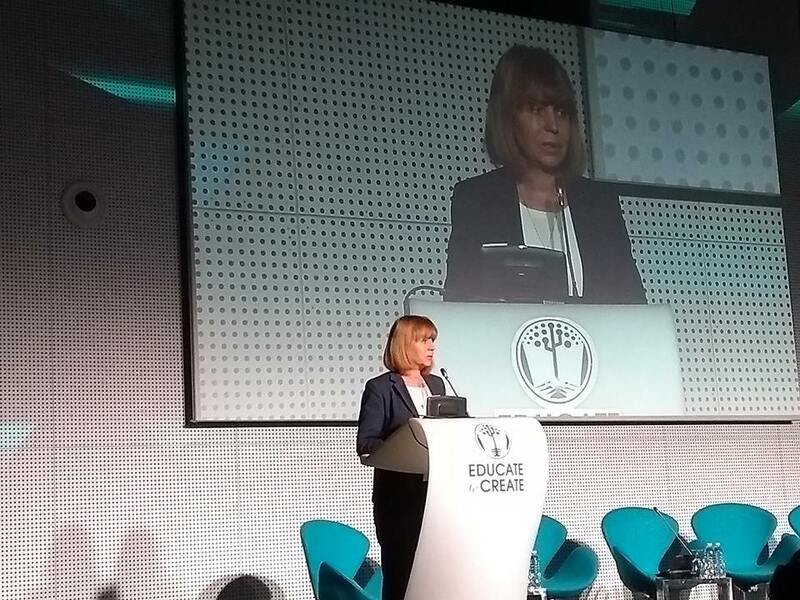 Educate to create was the flagship conference on education of the Bulgarian Presidency of the Council of the European Union which took place at Sofia Tech Park, on April 19-20. 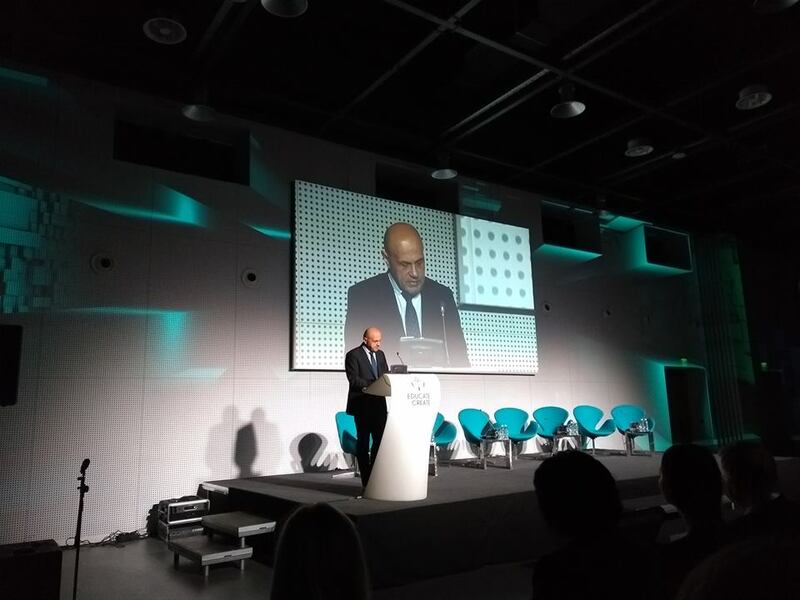 The event was co-organised by the Bulgarian Ministry of Education and Science and the European Commission’s Directorate-General for Education, Youth, Sport and Culture. 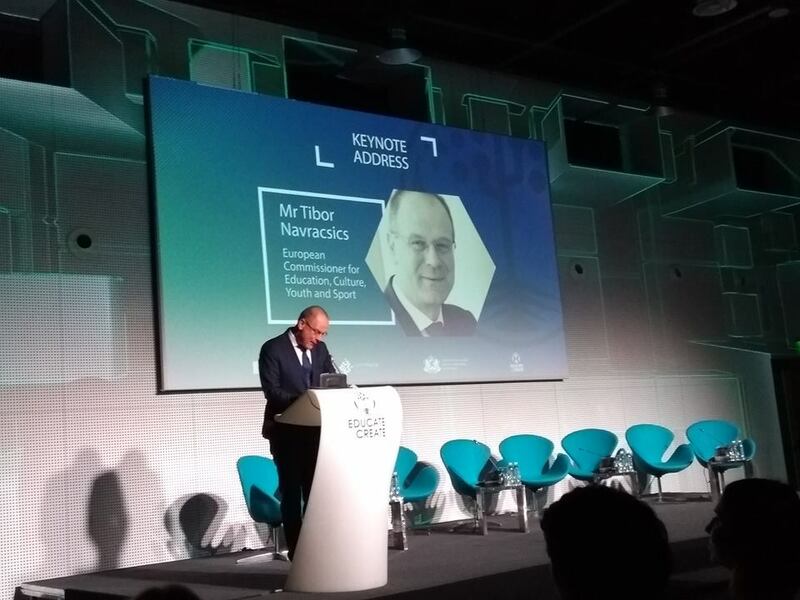 The Bulgarian Deputy Prime Minister, Tomislav Donchev, the Minister of Education and Science, Krasimir Valchev, the Mayor of Sofia, Yordanka Fandakova, and the European Commissioner for Education, Youth, Sport and Culture, Tibor Navracsics, opened the conference. 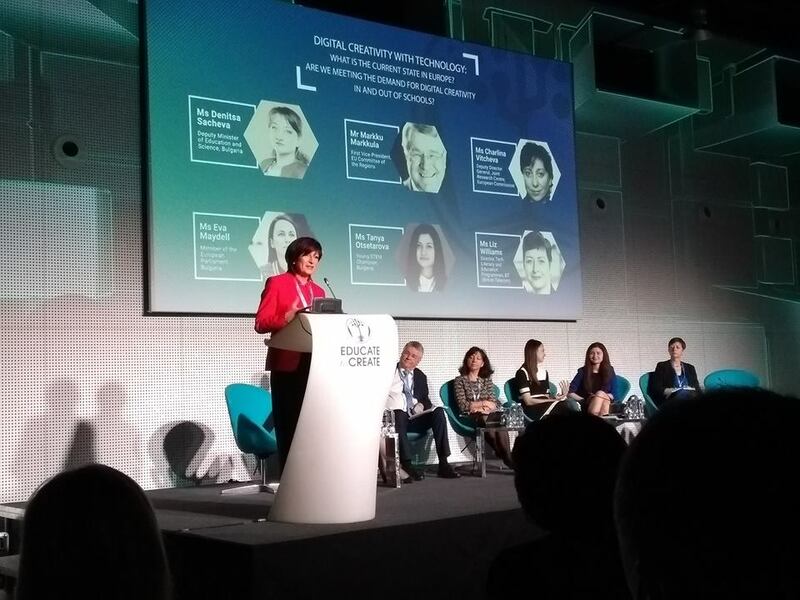 European Commissioner for Digital Economy and Society Mariya Gabriel delivered the opening speech on the second day of Educate to create. 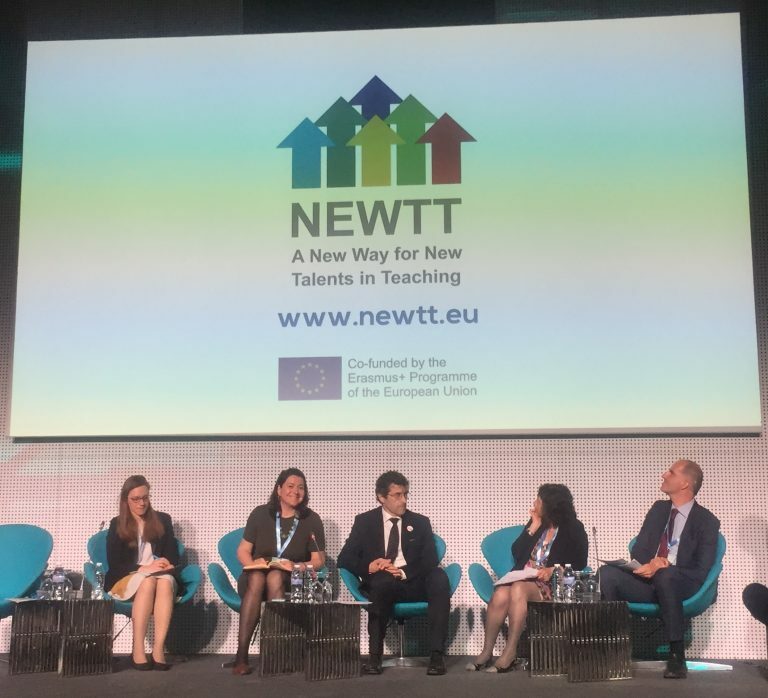 Teach For Bulgaria’s founder and CEO, Evgenia Peeva-Kriova, moderated a panel on digital inclusion and Dr. Neli Koleva, Chief officer of Public Partnerships at Teach For Bulgaria, had the opportunity to present NEWTT during a special section called “The EU and digital creativity in education: current priorities, programmes and future perspectives”. 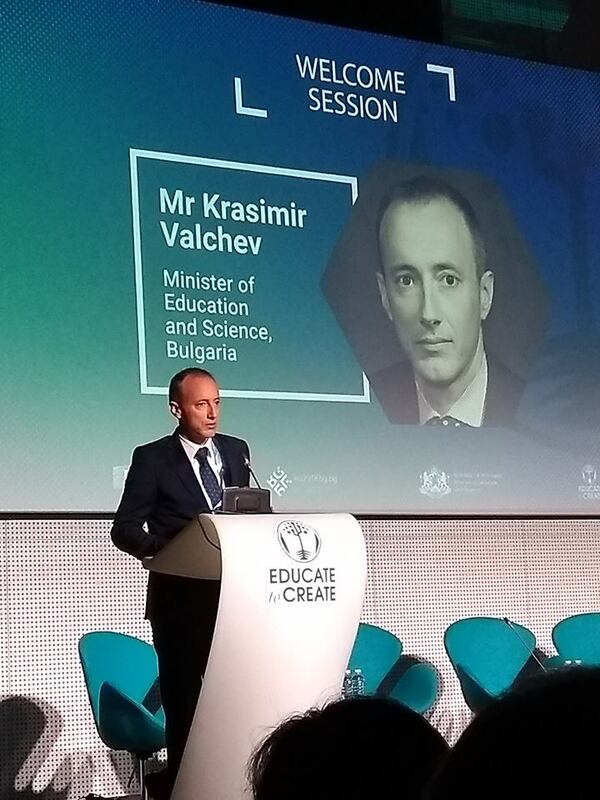 About 300 participants and more than 40 high-level speakers took part in the education conference. 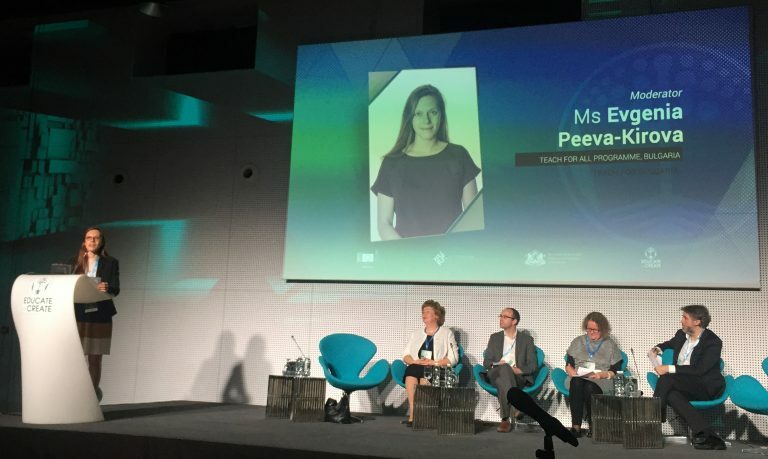 Educate to create brought together a diverse number of stakeholders - policy makers, educators, students, innovators, the business sector, NGO representatives, and researchers.